Have you sustained a work-related injury or illness? Has your claim for Social Security Disability benefits been denied? You can find the experienced and dedicated legal representation you require at the Philip J. Fulton Law Office in Columbus, Ohio. We represent clients throughout Ohio in workers' compensation and Social Security Disability claims. Our attorneys have helped thousands of injured and disabled clients. We understand that the claims process for SSDI, SSI and workers' compensation benefits can be confusing and overwhelming. Let us guide you step by step through the complex claims process. 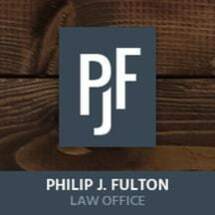 Our founding attorney, Philip J. Fulton, has dedicated the past 30 years to helping the injured and disabled. For his commitment to injured workers, he was given the Distinguished Service Award in 1994 and 2002 by the Ohio Academy of Trial Lawyers. Mr. Fulton was inducted into the Ohio Academy of Trial Lawyers' Association Workers' Compensation Hall of Fame in 1997. Mr. Fulton has also been recently selected for inclusion in the workers' compensation and Social Security Disability sections of the 2012 Super Lawyers magazine. Our founding attorney, Philip J. Fulton, literally wrote the book on Ohio workers' compensation law. For decades, "Ohio Workers' Compensation Law" by Philip J. Fulton has been an important source of information for attorneys throughout the state. As a renowned authority, Mr. Fulton is frequently asked to lecture to attorneys, legal groups and doctors all over Ohio on complex aspects of Ohio workers' compensation laws. We charge no fees unless we recover benefits for you. To schedule a free consultation with an Ohio workers' compensation or Social Security Disability lawyer at our firm, call 614-929-3126 or call toll free at 866-552-6353.